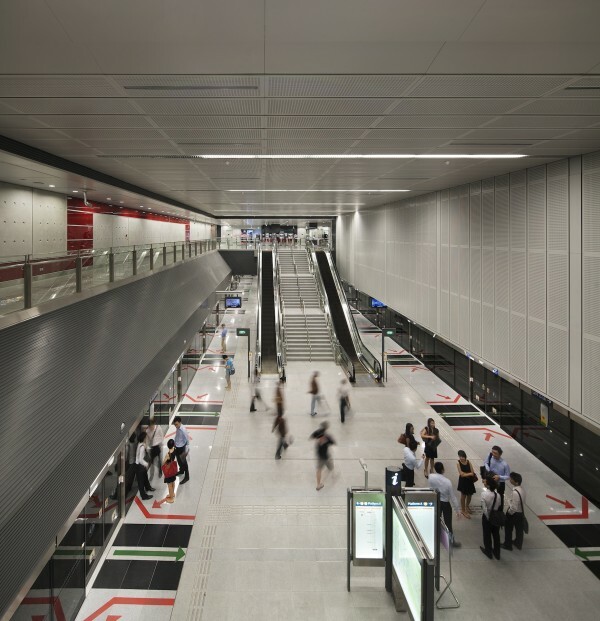 Labrador Park MRT is part of the CCL Contract Stage 4 & 5 and is in close proximity to the Labrador Nature & Coastal Walk’s Berlayer Creek sector. The entrance is surrounded by pockets of lush vegetation and greenery that links to a park connector behind the station as part of URA’s Nature Trail concept for this area. 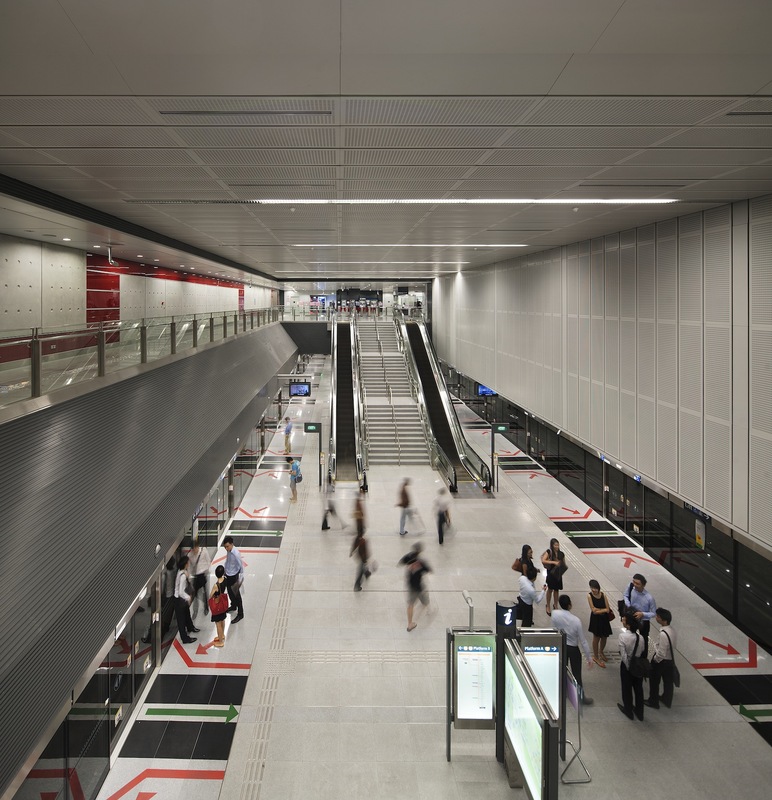 The Station’s single entrance is located along Telok Blanga Road and provides commuter access through a Pedestrian Overhead Bridge connecting the Former ITE campus and the PSA building which is currently under renovation to accommodate a future mall along Alexandra Road. The entrance at Labrador station strays away from the “V” truss concept typical for all the station entrances for the Contract Stage 4 & 5 as the entrance is uniquely integrated with the stations vent shafts and the Pedestrian Overhead Bridge linking to PSA’s offices and future commercial mall. 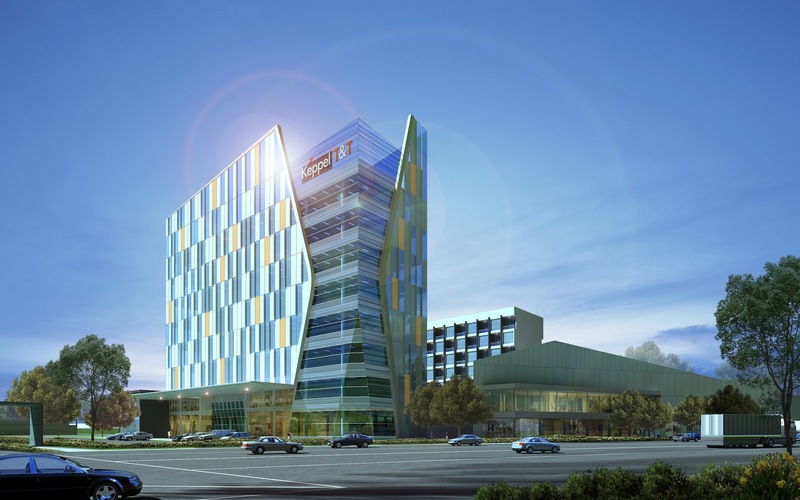 The station is a mix of free standing glass and prominent steel elements adapting the gray hues of industrial complexes that stretches along Telok Blanga Road. 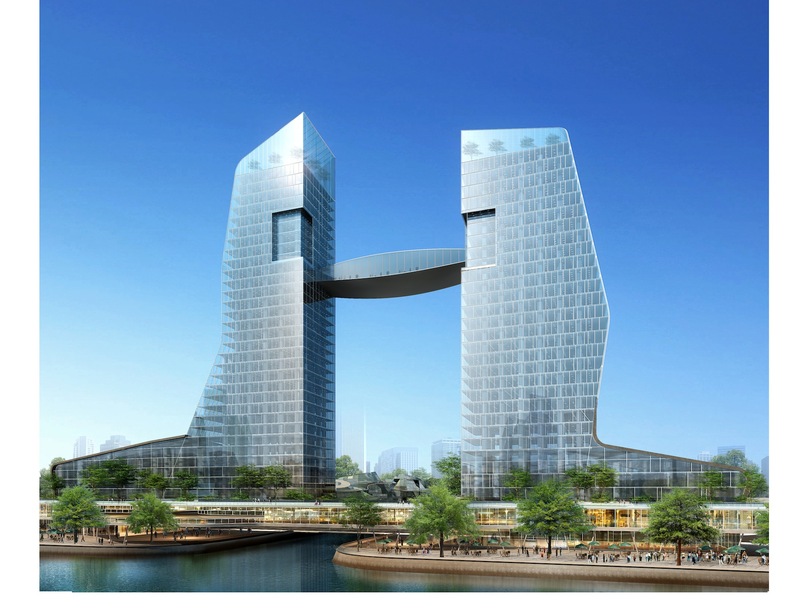 The layered roof’s strong horizontal lines counters the dominant vertical granite wall that wraps up the vent shafts behind it thus visually reducing the stations height. 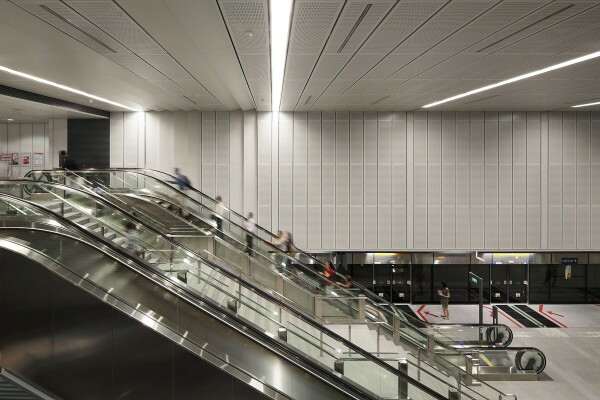 Black granite was introduced in walls and floors to tone down the station entrance interior’s gray hues. 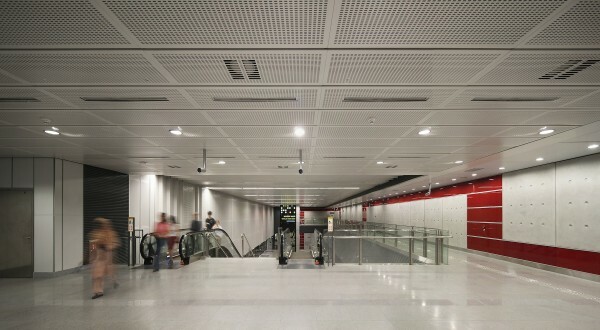 Typical to all Stage 4 & 5 stations, the station’s interior is highlighted by a fiery red back painted glass on its ceiling and translating to the walls going down to the platform. It is accentuated by an array of gray GFRC panel walls that is distinct to other existing MRT stations.